At Youzign, our goal is to help you create marketing graphics the easy way. But even if you use Youzign every day you might be unsure how to make the most of all the different graphics and formats available. In this new series we’ll aim to showcase one type of marketing graphics every Tuesday (and you can vote for the next feature at the bottom of this article). For episode 1 we’ll be looking at Facebook covers, and notably how to use them on fan pages. First let’s start with a brief introduction to Facebook. The website was founded in 2004 and is one of the busiest social media platforms with 1.44 billion monthly active users (up 13 percent from 2013). Of those, 1.25 billion people are mobile users, an increase of 24 percent year over year. About 65 percent of Facebook’s members use the service daily, and 64 percent use it daily on mobile. Next question is, do you have a Facebook account? Most people will have a personal Facebook account. A fan page, or a Facebook page is different from the regular account. Some of the elements (profile picture, Facebook cover, news feed, and etc) are pretty much same. A Facebook page is made to help businesses, organizations and brands share their stories and connect with people. It can be managed by several individuals – who need to have their own personal Facebook account. People can act/have role as an admin, editor, moderator, advertiser or analyst. Thanks to Facebook friendly interface creating your fanpage couldn’t be easier. In fact, simply head over to Facebook, scroll to the bottom and click on “Create a page”. Alternatively, after you log in to your personal Facebook account, you can open a new tab on your browser and go to this address: facebook.com/pages/create. After choosing the category that is most relevant to you, you can get even more specific by selecting a sub category. All the categories for each of above choices appears in drop down menu. Fill in all the required fields (put in a Name for your page. Then add the local business or or place as well as the address). After that just click the “Get Started” button. WHO IS A FAN PAGE GOOD FOR? So yes, the Facebook page or Fan page is dedicated for business purposes. There are various categories that range from local business through to a community. A Facebook Page is for anyone who think and want to build their business, brand or organization. A Facebook page can be a great marketing tool for your business. You can manage everything in one place. You can get insights / analytics about your Facebook page (you can’t do analytics on your personal page) – which can be a great data for your next marketing campaign. Using this data you can see what works and what doesn’t work for your business. The analytics data can show you many people engage with your post on your Facebook page. The insight of post reach can tell you what content works really well on Facebook. You can even learn if posts, links or images or videos work the best with your audience through analysing how many people click the post. In addition to this you can compare your page performance to other pages (for an example: your competitors). This is another method you can use to see what content is likely to work well with your audience. Don’t get this mixed up. So there is a Facebook profile picture and there is a Facebook cover photo. Both your Facebook personal page and your (business) Facebook page have a Facebook profile picture and a Facebook cover image. 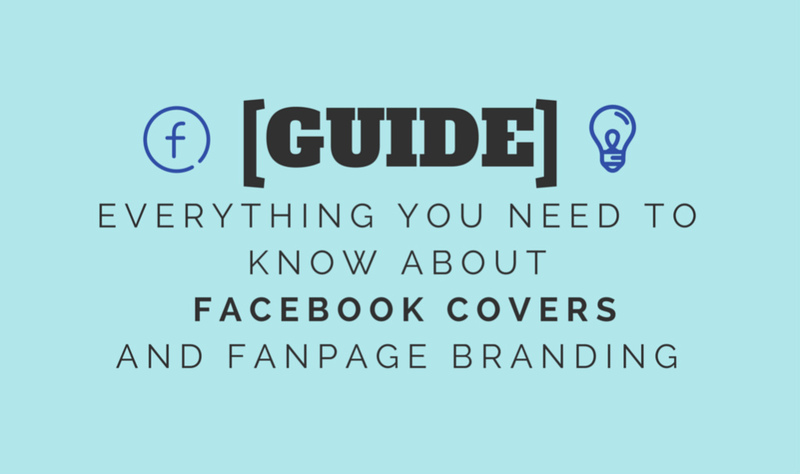 Definition: A Facebook cover is located at the top of your fanpage. Facebook originally introduced this graphic in 2014. Since the launch the size has been modified several times. Facebook states that a cover photo is the large image at the top of your profile. Though you can totally leave your Facebook cover (and also your Facebook profile picture) empty, I strongly suggest you put an image there. 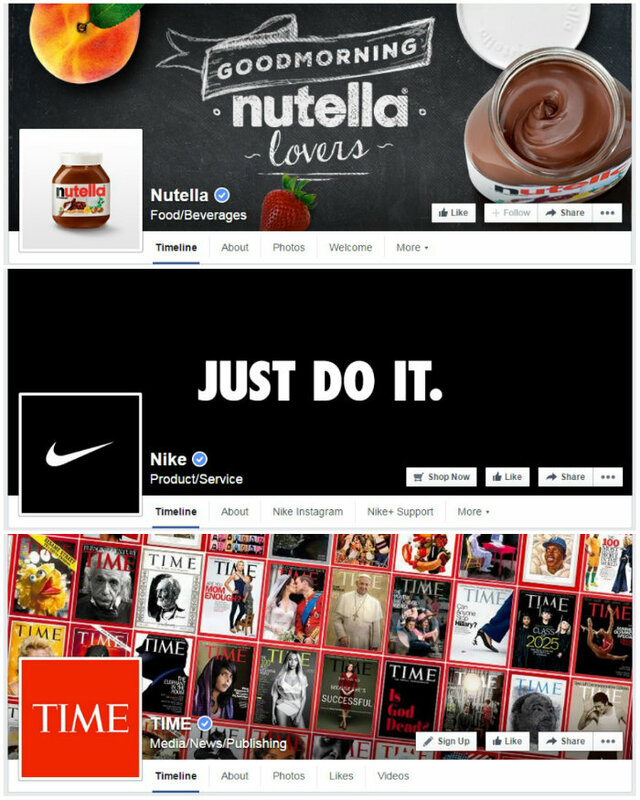 The company states that the Facebook cover is your chance to feature a unique image that represents who you are or what you care about. So it is important and your audience will pay attention to it. Please note that Facebook always sets the Facebook cover that we upload as a public image. This means that anyone can see it. Unlike the Facebook profile picture, we can’t change the Facebook cover photo from public to personal. It sets as public and you can’t change it. – Go to you Page. – Click “Add a Cover” or hover over your current cover photo. On the top left you’ll see the camera icon, click it. – Upload a photo from your computer or if you’ve already added photos to your Page, you can choose a previously uploaded photo. – After choosing a photo, you can reposition it by dragging it up or down. – Once you are happy with the result click Save Changes. Your Facebook page’s cover photo can be anything that represents your page. This can be a popular menu item at your restaurant, certain running campaign in your community or an image of a customer using your product or service. I’ll share some good examples of Facebook cover photos later in the post. For the time being, remember that the cover photo can’t be deceptive, misleading or infringe on anyone else’s copyright material. Once you have added your cover it is highly recommended you add a profile picture too! The profile picture on Facebook dimension is 180×180. To create your profile pic simply head over to Youzign, select templates and then custom size. Under the custom sizes you’ll find a Facebook profile pic template you can use to get started. Or click here to launch this template directly (need to be logged in). The current Facebook cover dimensions are displayed at 851 pixels wide by 315 pixels tall on your Page on computers. On a mobile phone it is displayed at 640 pixels wide by 360 pixels tall. While a Facebook profile picture displays at 160×160 pixels on your Page on computers. On a smartphone the image is 140×140 pixels and 50×50 pixels on most feature phones. It must be at least 180×180 pixels. The cropped image would fit a square. Below are some examples screenshots of Facebook cover images that show you how the dimensions change from desktop through to mobile. The below images are taken on a desktop. Below are several screenshots taken from mobile (iPhone) of the same Facebook pages. As you can see the 851×315 displays on PC changes to 640×360 when displayed on a smartphone. This example should give you an idea (roughly) on how to create a Facebook cover that works for PC/computer display and also works on mobile displays.